Have fun. Get fit. Meet people. We’ve transformed HIIT workouts into immersive, adrenaline-fuelled games. 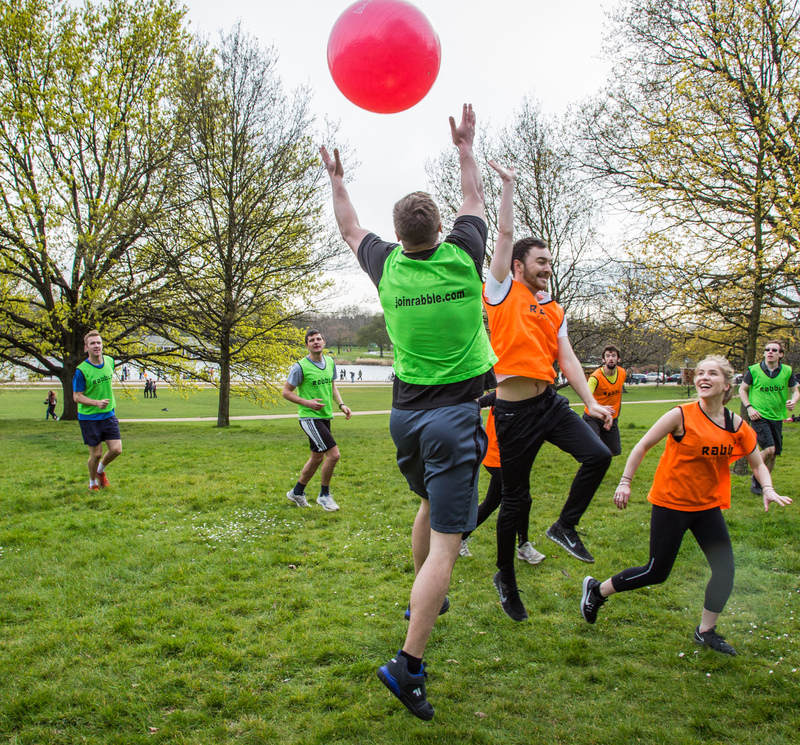 We play everything from British Bulldogs to Capture the Flag, Dodgeball, Frisbee and many more. Making fitness so much fun, you don’t even realise you’re working out. A Rabble game is an hour of fun social team games that disguises high-intensity intervals within the rules. We play a variety of games to cover different fitness levels & skills including speed, endurance, co-ordination, agility, strength, and more. We always explain the rules before we begin each game. There’s no right or wrong in our games. If you’re running around and having a great time, then you’re doing it right! After the session, we’ll cool down with some stretches and often head to the pub for a drink. A core element of Rabble is to be inclusive of anyone. This is why Rabble games are designed to be extremely inclusive of all players, no matter what their age or fitness level is. We've run sessions for children and their mothers, and even for players that are over 50 years old. Proof that anyone can join a session! Rabble On Channel 5 from Join Rabble on Vimeo. 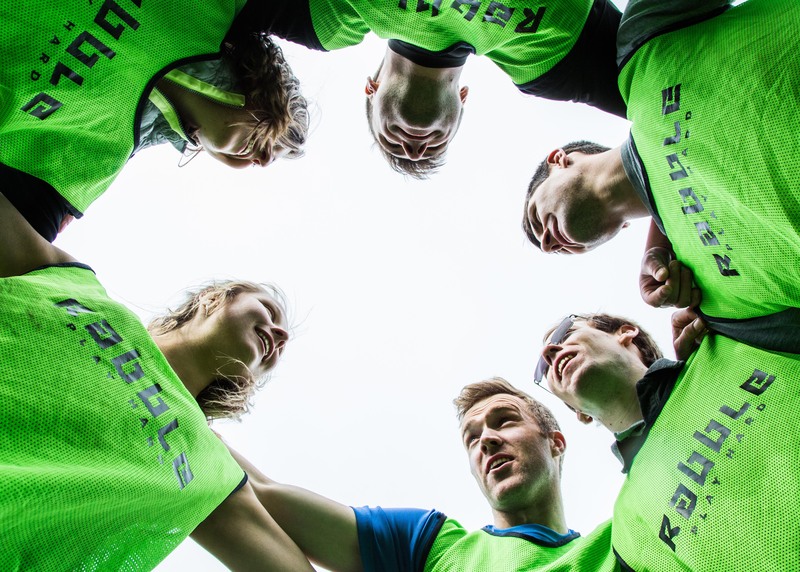 Rabble has been expanding rapidly, we now have sessions in over 50 locations worldwide! Click on the link below to find out if there are any sessions near you that you can join! We’ve transformed HIIT workouts into immersive, adrenaline-fuelled games. We play everything from British Bulldogs to Capture the Flag, Dodgeball, Frisbee and many more. Making fitness so much fun, you don’t even realise you’re working out. Our games are open to all, no matter what your experience. We’re a super social crowd, playing hard on and off the field. Time to stop exercising and start playing! A Rabble game is an hour of fun social team games that disguises high-intensity intervals within the rules. We play a variety of games to cover different fitness levels & skills including speed, endurance, co-ordination, agility, strength, and more. We always explain the rules before we begin each game. There’s no right or wrong in our games. If you’re running around and having a great time, then you’re doing it right! After the session, we’ll cool down with some stretches and often head to the pub for a drink. A core element of Rabble is to be inclusive of anyone. This is why Rabble games are designed to be extremely inclusive of all players, no matter what their age or fitness level is. We've run sessions for children and their mothers, and even for players that are over 50 years old. Proof that anyone can join a session! Choose from any sessions running near you! Can I join a Rabble session alone? Of course! You can come alone or with friends. We designed our games so there’s no need to organise last minute players or rely on friends to play. We can make a game from the group who attends and we’re a super social and inclusive crowd so don’t worry about not knowing anyone, we’d love to welcome you to the Rabble. Will I be fit enough to participate? 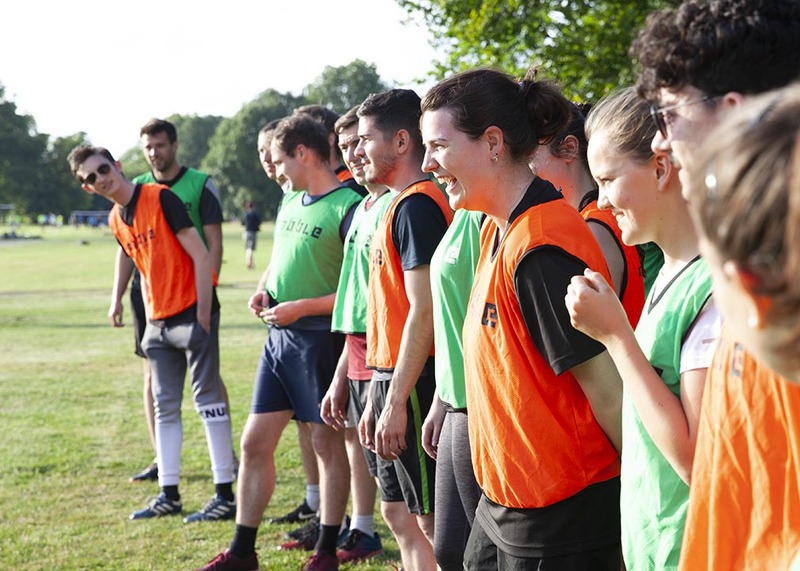 Rabble sessions are inclusive of everyone in spite of their age or fitness levels. So anyone can participate! 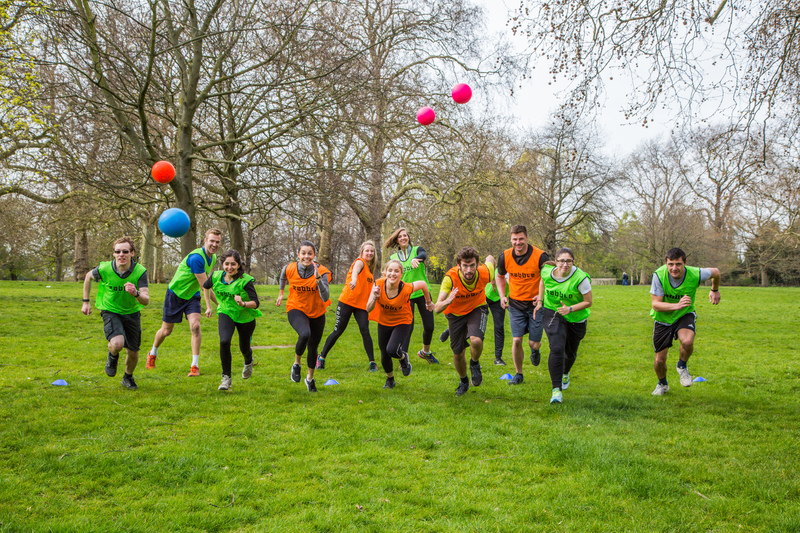 We have designed the games so that those new to exercise can play alongside those who like to push themselves and everyone can have fun and get a workout! You can push yourself as much as you want to, but you will probably find that the game will quickly take over! Where are the Rabble sessions run? 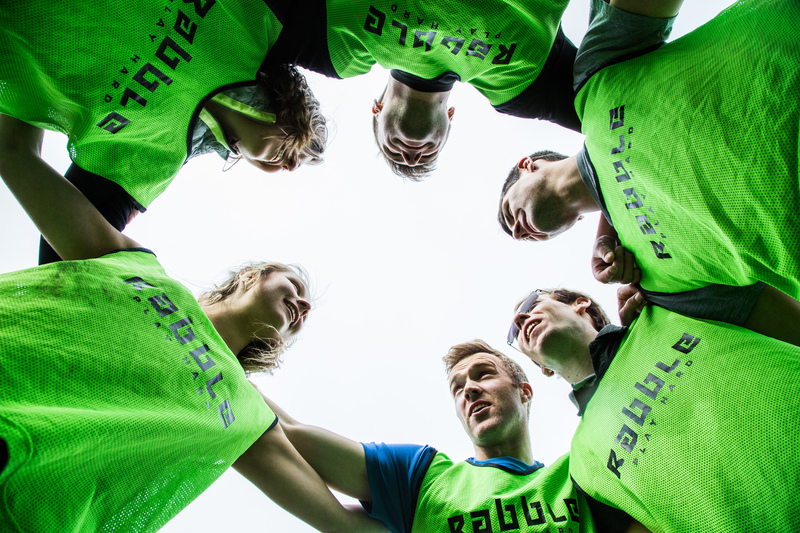 We have Rabble sessions in over 50 locations worldwide! So chances are there are Rabble sessions being run near you. Check out our locations page to find a Rabble session near you! Prices for Rabble sessions vary by location, however, they’re all extremely affordable. 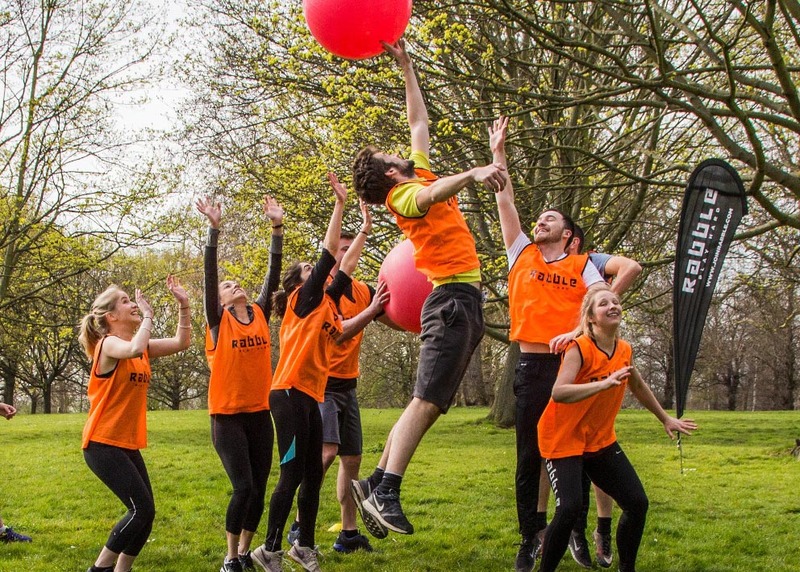 You can even join your first Rabble session for FREE by using the code ‘FUNFITNESS’ when booking into a session! What do I need to wear/bring/do? Come ready for physical activity – sports clothes, trainers, and your game face. Remember the doctor’s orders and any medication you need . We play in all weather. It’s still just as much fun. Loads of water to keep hydrated. Check the session’s meeting point – be sure of precise location (parks don’t have postcodes) and allow travel time. Your instructor will be easy to see at the meeting point wearing a fluorescent Rabble bib. If you play hard, be positive and work with the team you will get plenty from the Rabble! I'm having trouble booking into a game! If you’re having trouble booking into a session, contact us and we’ll get back to you as quickly as possible! There are no sessions near me! We’re constantly looking for new places to introduce Rabble in. If you’d like to help us do so, drop us an email!